“Without Headstones,” Carlisle (PA) Herald, June 8, 1882, p. 3: 2. 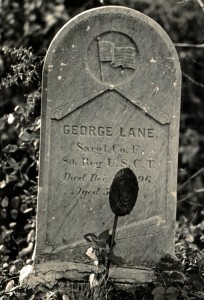 We understand that there are quite a number of soldiers buried in our cemeteries who are yet without tombstones. We trust their friends or comrades will see to it at once that stones will be placed over their remains. The Government furnishes them free of charge, so that there is no possible excuse, except negligence or indifference.